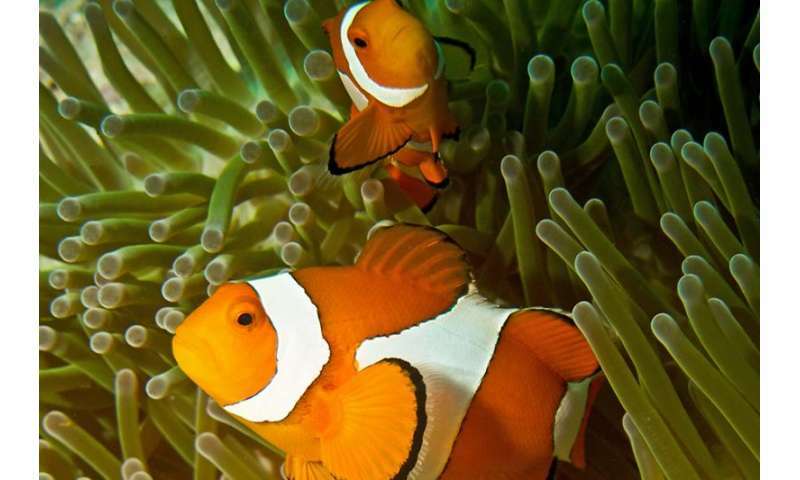 Clownfish share their sea anemone homes when space is limited, say Australian researchers. They have found that multiple species of clownfish live together in the same host anemone and divide up the space, pushing more subordinate species to the periphery. In a lesson for sharehouses everywhere, it seems the fish all get along: dominant species accept subordinate species and there is no increase in aggression. Dr Emma Camp, from UTS and the University of Essex, says cohabitation appears important for sustaining diversity, and highlights the importance of habitat protection. 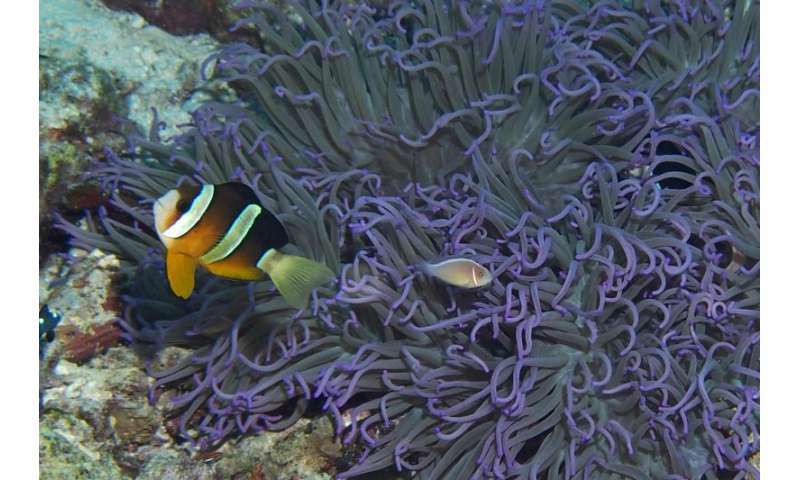 The researchers examined clownfish in the Coral Triangle, a global hub of marine biodiversity in the western Pacific Ocean that includes the waters of Indonesia, the Philippines and Papua New Guinea. "We found that the number of clownfish species outnumbered host-anemone species, creating a situation where host anemones are often limited. Instead of competing for available hosts, clownfish cohabit anemones," Dr Camp says. The benefits or costs of cohabitation are not yet fully explored. However, the lack of aggression between cohabiting species suggests sharing anemones is an important part of supporting clownfish diversity in high-biodiversity areas. "Marine habitats are being lost globally and unfortunately the cost of that loss is not fully understood," Dr Camp says. "In many cases we will not know the true loss associated with habitat degradation until it is too late. Understanding biodiversity and how it is supported is therefore crucial in helping to preserve diversity and the natural ecosystem services provided, especially in what is a global centre of marine biodiversity." Dr Camp says that with multiple marine species, such as fishes and crustaceans, cohabiting anemones (and other microhabitats) within the Coral Triangle, protecting these microhabitats and preserving cohabiting relationships is important to conserving this global centre of marine biodiversity.